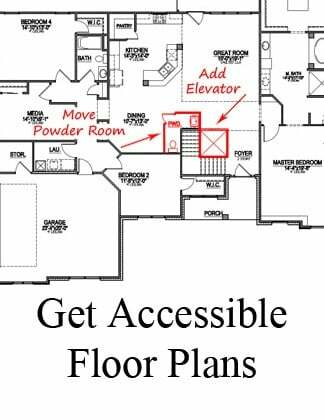 One of the most frequently asked questions about new home floor plans is: can I add a bonus room upstairs, instead of the two story living room? 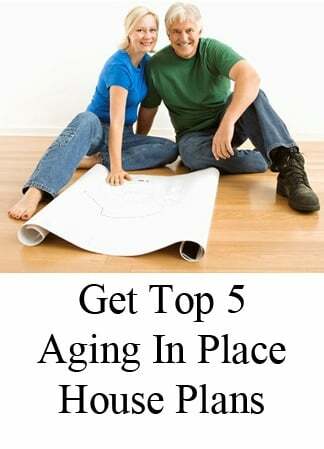 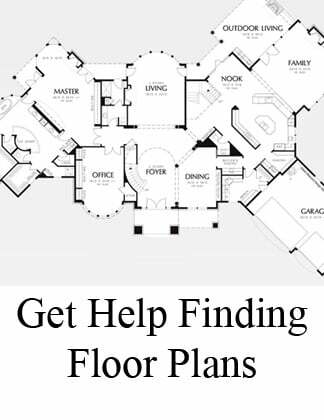 For most floor plans, the answer is YES. 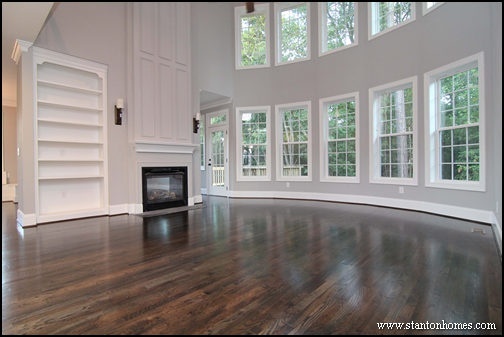 See two versions of the same floor plan built in Raleigh, NC. 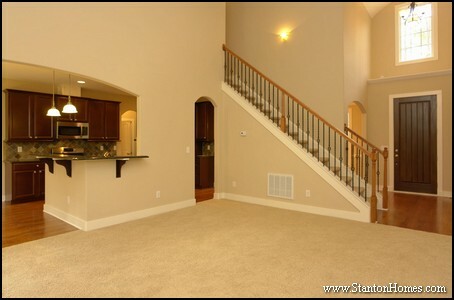 The first has a two story great room. 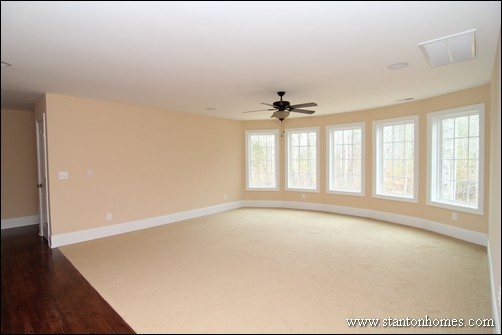 The second has an upstairs bonus room. 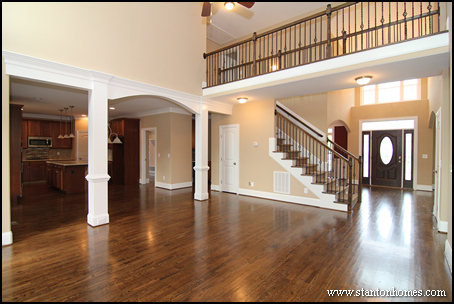 Which layout would you pick for your new home? 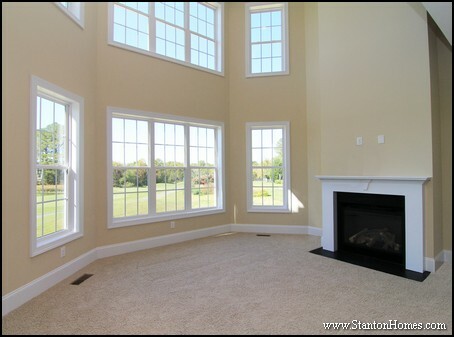 While each of these great rooms has a two sided fireplace that looks into the sun room, the first photo has an entry cut-out on each side of the great room. 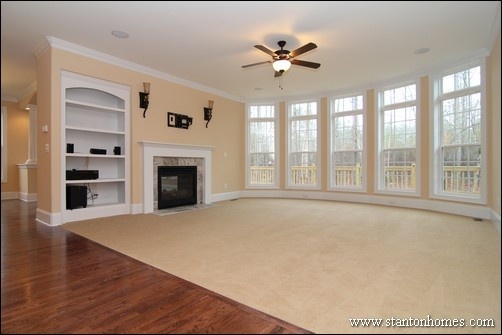 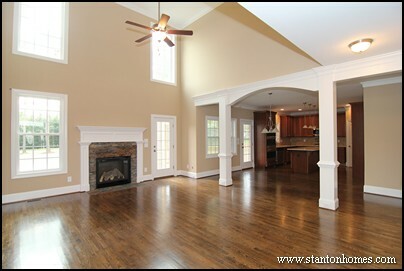 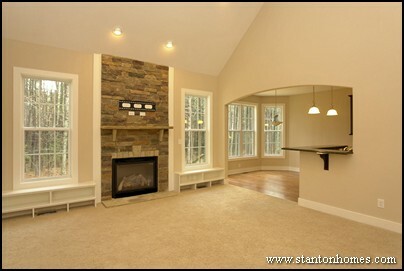 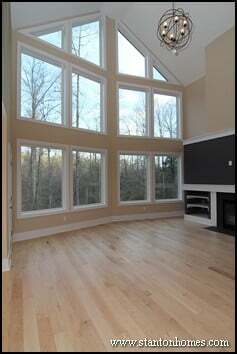 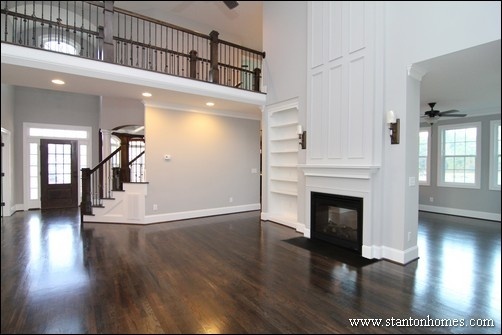 The first version has a larger built in bookcase, wainscoting above the fireplace, and hardwoods throughout. 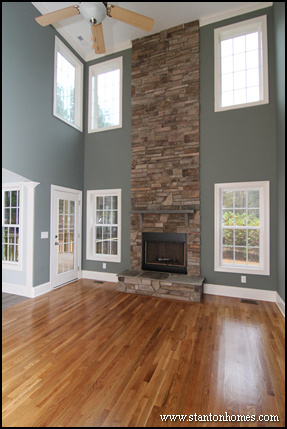 Transom windows give the second version more natural light and the full wall makes space for additional furniture and storage. 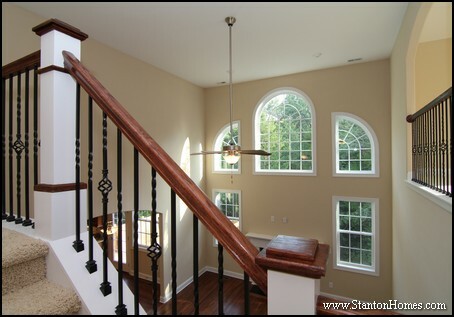 A two story ceiling calls for a hallway overlook along the great room. 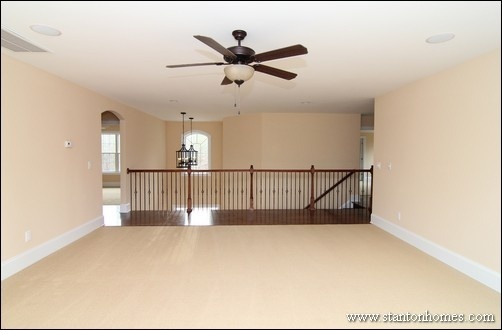 A single story ceiling makes room for a bonus space upstairs. 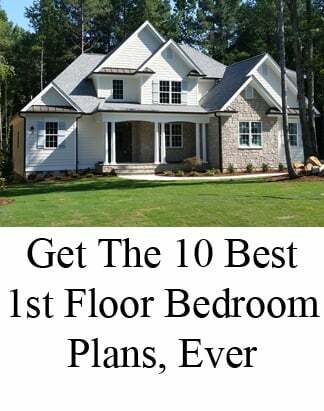 There are pros and cons to each layout. 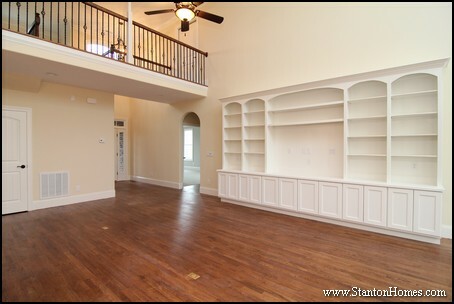 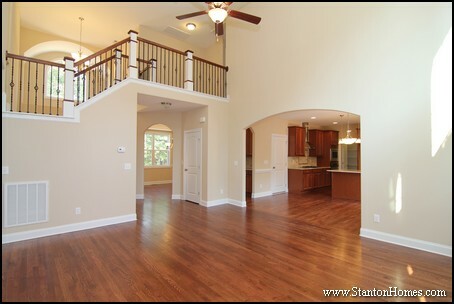 Which version of this floor plan is your favorite, the two story great room with huge window wall OR a bonus room above, which adds tons of square footage in a usable space?